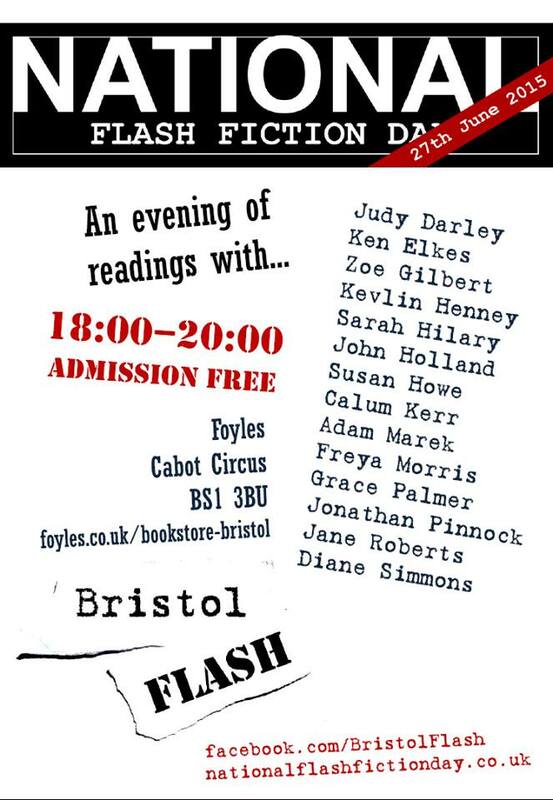 Upcoming Readings with National Flash Fiction Day and the Bath Flash Fiction Award! I have never done a reading before, and this Summer I’ll be doing two! With: Meg Pokrass, Carrie Etter, K M Elkes, Diane Simmons, and Santino Prinzi. To say I’m excited to be reading at these two events is an understatement. I’ll be preforming alongside writers who are inspirations to me. Now, I must decide what to read, but whatever I do choose to read I know I’ll be bringing my absolute best. I’m excited! If you’re interested in finding out more, please click either hyperlink. It’s inevitable; if you’re a writer and you submit writing to competitions or magazines you’re going to receive rejections. It’s one of the facts of life. Nobody likes to be rejected. Every “no” you receive makes you feel as if you’re not good enough, but here’s the thing, rejections can actually be your friend. I can hear you saying “What? !” now, but as I hope to explain in this article, rejections can make you a better, stronger writer. Now everyone is different, another fact of life, so these are the 5 things I do when I get a rejection, and they work best for me. It’s how I’ve made rejection my second best friend. I say second because, obviously, my first best friend is an acceptance of publication. (Of course, I’m not talking about actual human beings). Now it’s said that sending out a story, or any piece of writing, before it is ready is a mistake, which is true, however, there’s a factor of this statement that is never considered: we send out writing when we have revised it to a standard that we believe is ready for publication. Let me explain: when I submit a piece of writing to a magazine or publication I believe, at that moment of time, that the writing is ready to be read by an editor or judged in a competition. By the time I’ve received a rejection, it may have been several weeks, or even months. This is why you need to look at the piece of writing again; enough time has passed since you last reviewed the writing meaning you can read it objectively. For instance, a story I submitted a short story to a competition announced its longlist this week and I didn’t make the cut; this doesn’t mean my story was bad, it just means that there were other stories that were better – simple as that. But rather than send the piece of writing for consideration somewhere else straight away I choose to review it. This particular story was submitted when I thought it was ready in April, but now it’s nearly August, which means when I look at this story again I’m going to see things I didn’t see before. This means I can review, cut, add, change, develop, and edit my story in many ways. Perhaps I won’t need to, maybe I still like it the way it is, but the point is the time between submitting it and looking at it again is enough time for me to be able to see my writing in a different light. Simply looking at the writing again will make it better, even if I only change one thing. The main distinction between the original statement I disagreed with about sending your stories out before their ready is that only writing a piece then sending it straight away is a sure way to guarantee that your writing is not ready; you must give all writing time and space to breathe, and you must give yourself time to revisit the writing objectively in order to make it as strong as you can. Find somewhere else to send the writing. Though I said don’t find somewhere else to send the writing to straight away I didn’t mean this. You should definitely find somewhere else suitable to send the writing to, but you should first revisit it like I’ve previously said. I always ensure I have a list of opportunities waiting in the wing. The thing is there are lots of different publications and competitions out there, all with their own editors and judges looking for something in particular, all with their own tastes, and what doesn’t appeal to one editor or judge will probably appeal to another. I like to think of it like this: every opportunity I don’t pursue is an automatic rejection. I’m having horrible flashbacks of Dale Winton hosting the National Lottery’s “In It To Win It”, but you do – if you don’t submit your writing then you miss out on the potential that people will publish and read it. So get back out there! Don’t let rejection destroy your confidence. This is difficult and like I said everyone is different. Some people receive a rejection and pick themselves straight back up. Often I’m lucky enough to be in this category (but that’s because I’ve made rejection my second best buddy), but for other people this can really knock you back. The important thing is that the rejection of your writing is not a rejection of you as a person, though it feels like it because writing is personal; we write from our own experiences, our own dreams, we record the stories we want to share with the world, and when someone says “no” it feels like our experiences and the stories we want to tell are being invalidated. But this is not the case. Maybe it didn’t quite fit the publication. Maybe the writing needs a little more work. Perhaps you missed something (I once submitted a poem where the title was spelled wrong, probably why it was rejected). There’s always going to be a reason why the writing was rejected, but it is never about you as an individual. So, believe in yourself, and do steps 2 and 3. And remember all the times you have had writing accepted for publication; it beats all of the rejections, and if this hasn’t happened yet your time will come. It will. (I promise). Yes, we all know that reading is a great way to improve your writing. Reading is writing. In fact, it has been said so much that it’s almost in itself a cliché. But it’s true, and if you’re going to read anything, read what trumped your submission. For instance the competition I was referring to earlier publish an anthology of the prize-winning story and the shortlisted stories and this presents a great opportunity to read the stories that had done so well. By doing this I can learn what qualities these stories have that perhaps mine are lacking. Maybe you’ll read it and think I can’t learn anything from it, but I highly doubt it. This tip is also useful for publications and magazines for two reasons. Firstly, you can read the writing that was accepted giving you a clear indicator to the type of writing they like to publish. In fact, many publications advise you read what they’ve published before you submit your own writing. This increases your likelihood of an acceptance too; your story could be perfect, but if it doesn’t fit what the publication is looking for it won’t be published. The second reason why this is a good thing is that it supports the publication; after all without readers there’d be no publication to submit the writing to. So, you get a twofold benefit here: you can learn what qualities makes a competition winning piece of writing, or what fits best in a publication, which will develop your own techniques and abilities, and you support a publication that will rely on its readers to keep it going. That’s it. This is what I do when I’m faced with a rejection, making it my second best friend. You take rejection and you learn from it. You become a better, stronger writer, and then you find a new opportunity to chase. I firmly believe that no matter how well someone writes, no matter how widely published or successful they are, they can always learn more. I’m really interested to hear what you think about this list. Is there anything here that you don’t do and you’re going to do now? Or is there anything else you do that helps you deal with rejection? Let me know in the comments section! In June 2014 I had my first piece of writing published. It was a piece of flash fiction called ‘What We Do In Our Sleep’ published in the 2014 National Flash-Fiction Day Anthology Eating My Words, and I was absolutely thrilled to have my first taste of publication. I had another piece, ‘Me, But From The Future’, published in FlashFlood as a part of National Flash-Fiction Day in June too. You can find the details of both of these stories in the Publications section. That was a year ago, and now I have 15 pieces of writing published or scheduled for publication. Now I don’t know if this number is good or not, but I’m very proud of myself and very happy with my current rate of success, mainly because 13 of these pieces of writing have been published or accepted for publication in 2015. That’s an average of two pieces of writing a month. There are lots of things that have helped me to achieve this: reading publications to assess what they like to publish, writing, rewriting, editing, reading, reading, reading, and more reading. That, of course, contributes, but over Christmas of 2014 I made a spreadsheet to keep tabs of my submissions. I’d heard that one of my creative writing tutors did this and thought, hey, if I want to get more of my writing published then this must be something that can help me. I know what writing I have sent out for consideration and where I sent it. This is important to know because many competitions and calls for submissions do not like simultaneous submissions. I know when I should hear back from the editor of the journal or magazine, or when the competition results should be announced. This is good to know in case I need to chase up publications where I haven’t had an email of acceptance or rejection. In the case of a rejection I put a little red box by the story but this is a great thing – it means I know that this piece of writing is available to submit somewhere else, and I usually have somewhere else lined up. This means I can get the rejected piece, after another once over, back out there. In the case of an acceptance I put a yellow box by the story and a little star and this makes me feel fantastic every time I check out my spreadsheet. It’s also pretty motivational – it makes me want more little stars on my spreadsheet. If the submission is active then there’s a little green box, and this means I’m waiting to find out if the piece of writing has been accepted or rejected, but also tells me I cannot (in most cases) send it out to someplace else. My spreadsheet can shame me into submitting writing. That sounds weird, but basically, as I record the date I send submissions, I can see if I haven’t submitted something for a while. Now of course life and studies and other things get in the way, but when I see I haven’t submitted something for a while it inspires me to do so. If it’s a case where I don’t have any writing “ready” to submit, it encourages me to review my writing, or write more! By recording where I’ve sent writing I can see what I have sent to places before. I tend not to resend the same story to a publication; they’ve read it once, and didn’t like it, so they’re not likely to want to read it again. Now it doesn’t have to be fancy, and it doesn’t need to be able to do anything incredible – it just needs to be simple for you to use and contains whatever information works best for you. I’m really intrigued to know if any of you writers also keep a spreadsheet to track your submissions, or, if you don’t use a spreadsheet, what do you use? Is it helpful? Is this helpful to you? ‘Everything She Wanted’ Published in ‘The Write-In’ for National Flash Fiction Day! The Write-In for National Flash Fiction Day is an online journal which is open for submissions for 24 hours only. You’re required to select a prompt (and there are plenty to choose from) and write a story up to 500 words. I’ve just done so this morning and here is the result: ‘Everything She Wanted’, which you can read by following this link. I hope you enjoy it, and feel inspired to submit your own piece of writing! ‘High Street’ Published at 101 Words Today! My 101 word flash fiction ‘High Street’ is now available to read over at 101 Words! You can check it out by clicking this lush title picture that they have designed. I like this graphic a lot. Anyhow – I would tell you about the story, but as it is only 101 words in length you can read it within the time it would take for you to continue reading this post……ah you’re gone? Nope? Still here? Go read it! If you like the writing featured then why not submit to them too? They’re a great literary journal celebrating flash fiction.